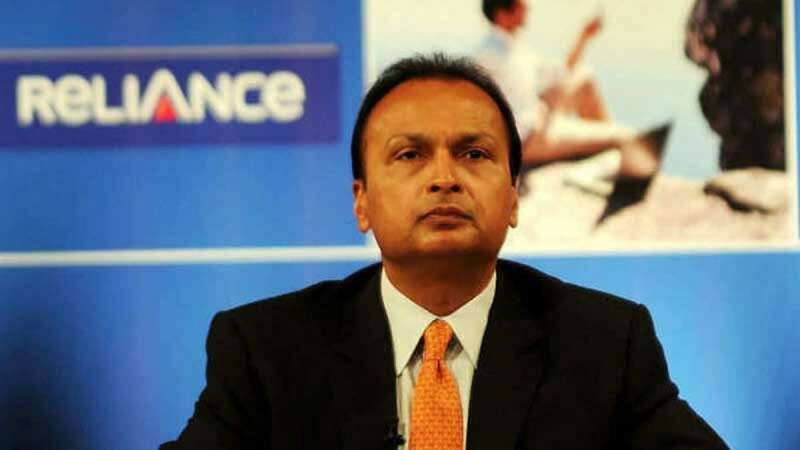 New Delhi : Ericsson India has filed another contempt plea seeking freezing and auctioning of personal assets of Reliance Communications chairman Anil Ambani and others for 'wilful disobedience' of Supreme Court's order to repay Rs 550 crores to the Swedish company. The Supreme Court is likely to hear the plea by Ericsson India on February 12. Anil Ambani, along with Reliance Telecom chairman Satish Seth and Reliance Infratel chaiperson Chhaya Virani are supposed to be present in the court. Last month, the Supreme Court has sought a response from Anil Ambani and others over a plea filed by Ericsson India seeking that the chairman must be detained in civil prison and must be restrained from travelling abroad unless the payment is made by them. In 2014, RCom failed to pay for its supplies procured from Ericsson, the latter initiated insolvency proceedings against it before NCLT to recover Rs 1,150 crore. After a fight for a few months, the two parties made an out of court settlement by which R Com agreed to pay Rs 550 crores. Ericsson in its fresh plea said that Ambani, Seth and Virani have willfully and deliberately breached the undertakings of August 9 given to the SC and they should be restrained from leaving the country. It said that these three persons should declare their ?total unencumbered assets directly or indirectly within India and abroad? and their personal assets ?may be frozen and sold for the recovery of its dues of `550 crore. ?